The Film Premiered at the John F Kennedy Library and Museum in May to an audience of more than 300. Click the arrow above to view a “trailer” of the film. “Speaking at Amherst College in his native Massachusetts on Oct. 26, 1963 – with his final trip to Dallas four weeks ahead — Kennedy delivered a powerful message to the liberal arts-schooled students about the dynamics of poetry and power. 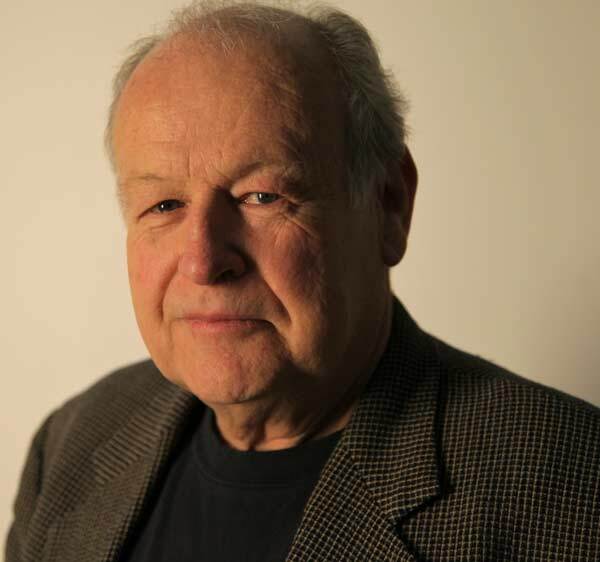 His thesis – that the young were obligated, through the arts and their activism, to question societal institutions, government and politics included – struck a chord among those who were there, so strongly for some that it has profoundly influenced their lives.” — ED BRADLEY, Associate curator of film at the Flint Institute of Arts; formerly Flint Journal editor, writing for the East Village Magazine. Contact Your Local Station to Request Broadcasts of JFK: The Last Speech. 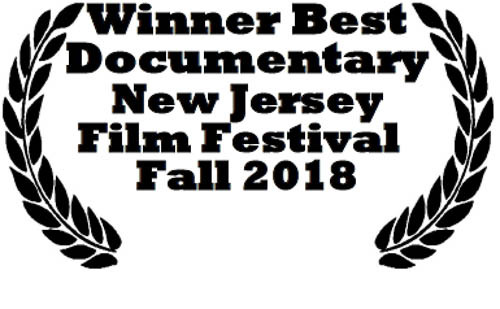 Read interview of Bestor Cram by Albert Nigrin, Executive Director/Curator of the New Jersey Film Festival. 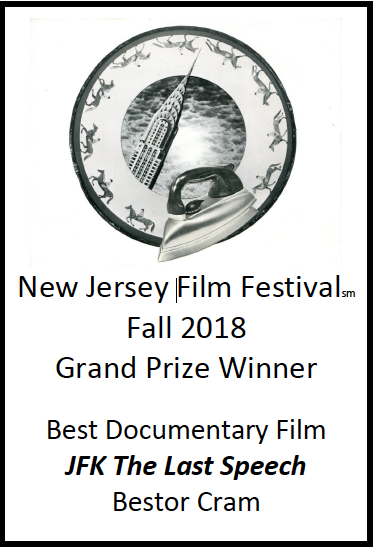 Bestor Cram is Producer/Director of JFK The Last Speech. In this era of political tension, when civic culture is fractured, when the value of the liberal arts is questioned, a message from 1963 has particular resonance toda​y. 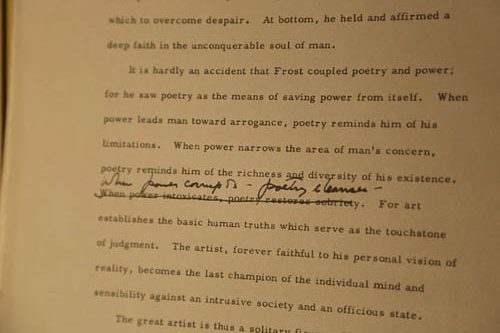 Twenty-seven days before he was assassinated, President Kennedy came to Amherst College to honor the poet Robert Frost. He spoke of the relationship between poetry and power and of a view shared with Frost that power must be exercised, but wisely — tempered by a moral restraint inspired by the arts and a liberal education. And, he spoke of the obligation of those “given a running start in life” to serve the public interest. In 1960, Norman Mailer prophesized that “America’s politics would now be America’s favorite movie.” Following three years of John Kennedy’s presidency, motion pictures of assassination, murder and funeral would unite the nation in astonished grief, in a manner we had not known before. What we had believed and trusted all changed. The solace and insight that words bring seemed to disappear. We were left to judge not if life had become a movie, but more profoundly what had this shared medium meant to our sense of self, our evolving national character, and the way we understood the world we lived in. The fact was that we had been brought together less by an event than by an individual: Kennedy. And the camera had much to do with translating his charismatic eloquence. As a documentary filmmaker, visual evidence is my stock and trade. I know, however, that this is not the silent film era. It is a time in which the sound that accompanies cinema is more than mere music or amplification of natural elements. It is often the vehicle that enables the narrative to unveil itself. Often it is what provides structure, sets tone, and reveals emotion so linked to the experience of cinematic storytelling. 1 Bestor Cram, “Solace from Well-Chosen Words,” JFK: The Last Speech. Mascot Books, 2018. Excerpt showing President Kennedy’s hand-written edit to his address at Amherst. Courtesy of the Amherst College Archives and Special Collections, Amherst College Library. Bestor Cram. Courtesy of Northern Light Productions.